Let me assure you this is not true. See you on the other side of success! Many episodes later,after the forest exile, the kidnapping etc, Ram orders Lakshman to send Sita to the Ashram, he does so not because he mis-trusts Sita, but because he has to follow his Duty of a King- to do what is right for his people. It may sound absurd to us in today’s time but thousand’s of year’s ago Duty was the most important. That is why Ram himself left his luxorious life in the Palace and went to live in the forest. For Duty he did not even care for his own well being. Than how can we conclude that sending Sita to ashram was wrong by Ram’s part? The people of his kingdom did not trust the queen, and Ram felt it was his duty to care about his people. Yes it sounds hideous, but that was a different Era. We have to judge them according to their mindset’s not ours. Why is it that I see Ram as a person with positive values, who followed what he was told since he was a kid- To act in the interest of his people. When Kings enjoyed in the glory of having multiple queens, Ram chose to have only one. He could have easily married someone else after sending Sita to the ashram. But he did not. Don’t you think he too was suffering? He could have chosen to leave Sita with Ravan and get married to someone else, But he choose to go and save her. All his actions make me beleive that he was a Man with values. Why do u see otherwise? It is easy to compare Ram to your husband-who did something cruel to you. But for GOD’s sake do not mis-interpret what Ram is. Please don’t change Ram’s image. I just discovered Sita Sings the Blues. Just wonderfull, not least because it features my all time favourite singer: Annette Hanshaw. Keep up the good work. While a part of me agrees with your assessment a part of me does not. Nina,just as everybody else is free to draw her own take on Ram. She is definitely not the first and I am sure not the last either. There was a 2001 movie Lajja http://en.wikipedia.org/wiki/Lajja_(film) where’s Ram and the societal questions have been asked by the protaganist in the movie. Both are creative works and she has every right to her interpretation of people/events etc. The only shame on the matter is it would be controversial here in India as the society is still male-dominated. im for copyright rights, i dont want somebody to make money from my work (my property), my work (my property) is my right and nobodys else. so if i make a song but somebody else does a remix of it he’s violated my work, my property, my labour. 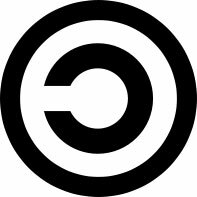 Copyright law and practice is outdated and in need of an overhaul. Unfortunately, much else also needs reform and we will have to deal with the law as it is for some time. The open-licensed approach is a fresh innovation which should help move the process forward. Sita Sings the Blues is a masterpiece. Copy write is dead most people pirate all the time, and your right, its the pirated stuff that gets the most attention. Anyway just like the software world people will just “stealing” the work as has been done for 1000s of years in every profession and there isn’t much anyone can do about it if they wanted to, which will force the laws or distribution model to catch up eventually as we see with things like googles advertising based approach I guess. Good Job, Keep up the fight. It’s been over a year. How’s that working out for you?